Newer: » La Isla Bonita gears up for the Easter Weekend! 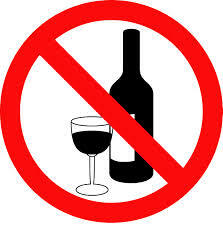 In an interview with The San Pedro Sun, Mayor Daniel Guerrero stated that the San Pedro Town Council (SPTC) is in full support of the no alcohol ordinance on Good Friday. Guerrero warns establishments that the selling of alcoholic beverages on Good Friday can result in the suspension or termination of their liquor license. (3) Any person who during the times at which any licensed premises are required by this section to be closed- (a) sells or exposes for sale in such premises any liquor; or (b) opens or keeps open such premises for the sale of liquor; or (c) allows any liquor, although purchased before the hours of closing, to be consumed on such premises, is guilty of an offence and is liable for a first offence to a fine not exceeding fiftydollars, and for any subsequent offence to a fine not exceeding one hundred. No Alcohol to be sold on Good Friday!